This week, a group of advocates, The Solar Foundation, released their ninth annual solar job report. In 2018, the industry came into contract, 8,000 solar jobs or a loss of about 3.2 percent came from 2017. The solar industry employed 242 343 people in 2018, the report reported. 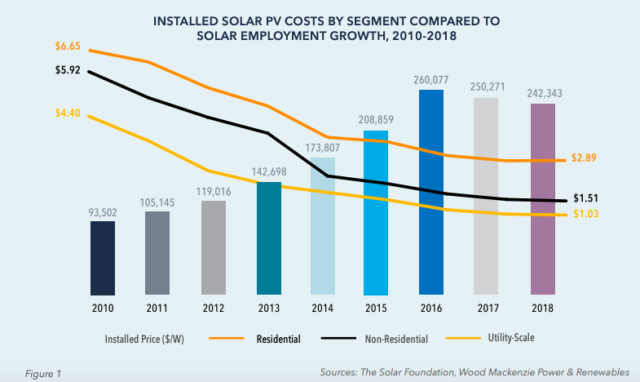 2018 marks the second year in a row that the solar industry has written job losses. In 2017, the Solar Foundation report showed that employment fell by 3.8 percent. The foundation only counts with solar jobs where at least 50 percent of a person's time is intended for solar energy. The Solar Foundation report states that this wastage on the market to sunbeds ordered by the Trump administration in January 2018. These rates were the result of months of uncertainty the previous year, as two foreign-owned but US base producers sold for the International Trade Commission to charge on cheap imported solar cells and modules were necessary to maintain their business in the United States. "This uncertainty led to delays in the project, especially for the larger plants," Solar Foundation reports. In addition, state levels and economic conditions in states with well-established solar industries have contributed to job losses. California and Massachusetts lost most jobs in the solar industry. California, which holds 40 percent of US solar capacity, saw jobs cut in part due to state tools being under pressure to boost renewable capacity in 2018 after making significant progress in adding renewable capacity in previous years. In Massachusetts, the delay of a program to offset PV system owners (Solar Massachusetts Renewable Target or SMART program) increased to market uncertainty and led to Solar Foundation losses. Not all news was bad in 2018. Florida, Illinois, Texas, New York, Ohio and Washington have all added significant numbers of solar jobs, according to the report, despite the overall US dip in solar energy. Currently, the solar industry's job is centered around construction, project development, wholesale trade and distribution. 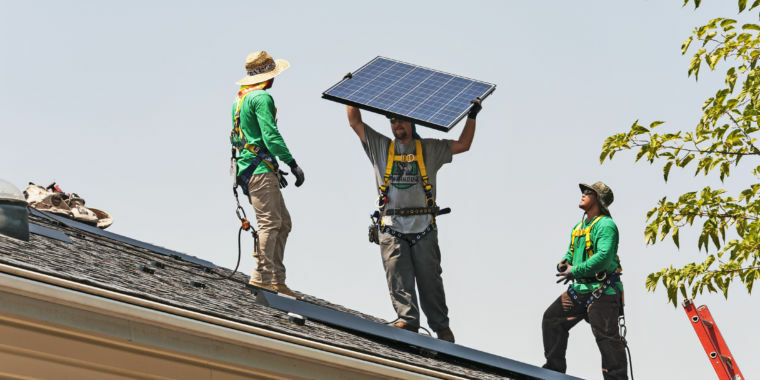 Solar Foundation found that three quarters of the solar industry's jobs are in these categories, while manufacturing represents only 14 percent of US solar jobs. Engineering, law and finance jobs account for five percent of jobs in the solar energy industry. The solar foundation looks forward to the future optimistically. 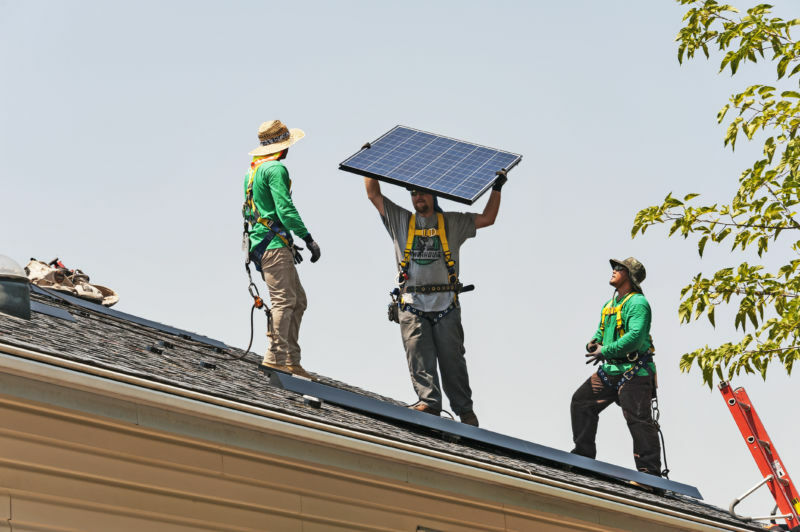 The report examined many employers in the solar energy industry and is based on the employers' plans to hire or fire in 2019, the Solar Foundation believes that the industry will see a seven percent increase in employment year over year, 2019. But the Foundation expects its optimism in the report with a warning: "The acute challenge of climate change means that the progress we have seen so far is not close enough. The report continues:" Solar energy needs to be developed and expanded even faster to reduce carbon dioxide emissions to sustainable levels. If this can be achieved, a number of additional benefits will follow, including new solar growth. "